Economic Damages – these include your out of pocket medical expenses for treatment incurred because of your accident. In addition to these damages, you can also ask the court to award you what is known as punitive damages. Punitive damages are a special type of damages which are meant to essentially punish a wrongdoer for some type of egregious conduct. The purpose of punitive damages is also to deter future similar behavior. Punitive damages may be given in cases of especially reckless driving or OUI accidents. 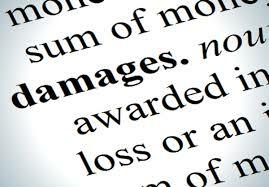 Punitive damages are the exception rather than the norm and are rarely awarded in Massachusetts personal injury cases. If they are awarded, the amount awarded is in the sole discretion of the judge or jury. In Massachusetts, the state legislature has placed a limit on the amount of non-economic damages such as pain and suffering. This amount is $500,000.00. Therefore, an injured plaintiff’s case is restricted to this number no matter how severe the accident. Although this cap seems completely arbitrary, it is part of a growing movement related to tort reform which is going on across the nation. Injured Plaintiffs may suffer as a result, depending on the severity of their accident. If you are involved in a serious crash, it is always a good idea to speak with an experienced personal injury attorney right away. An important factor after any car accident is making the victim feel whole again. Economic and non-economic damages are the method in which this goal is achieved. At the Law Offices of Jeffrey S. Glassman, our attorneys have extensive experience in personal injury cases involving every type of damage available to a Plaintiff. If you or a loved one would like to discuss your case with us, please call us at 617-367-2900 for a free consultation.